Afghanistan House is a low-poly 3d model ready for Virtual Reality (VR), Augmented Reality (AR), games and others projects. 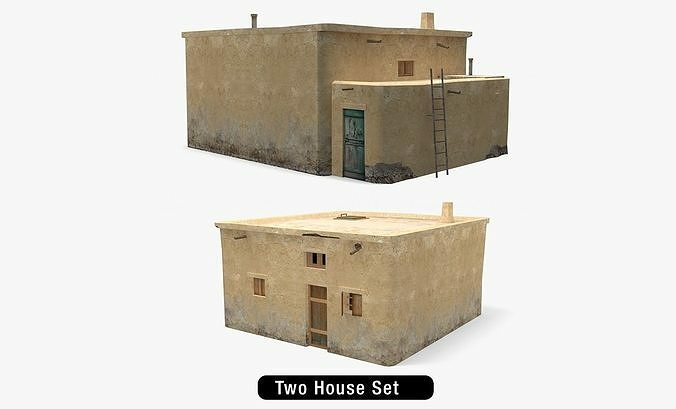 Two Houses in this pack with One Texture Set. Features: -Low poly best quality model with high quality texturs. Best and High-quality 3D Model. This Model Contain Only Mesh with their texture maps. -Low poly model for gaming , AR VR and others projects. -No cleaning up necessary just drop your models into the scene and start rendering. Only mesh and their textures is in this pack. Total number of files format is Six.